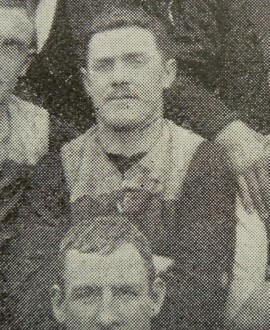 Bob Bird became just the second player ever to cross from Collingwood to Carlton when he left Victoria Park in 1899. Despite playing just one game in 1898, Bird was familiar with the black and white, playing for the Collingwood Districts before being recruited by the Magpies. His debut in round 15, 1898 was also his last game for the club. He kicked a goal as the Magpies recorded a 76-point victory over St Kilda at the Junction Oval. While Bird left Collingwood with a 100 per cent winning record, he experienced the lows of defeat early in his career at new club Carlton. Starting at full-forward, Bird was held goalless as Carlton kicked just 1.5 for the match against Geelong. After 20 games in the Navy Blue, Bird’s career ended, ironically, with an 11-goal loss to Collingwood in round 15, 1900. Bird passed away on July 21, 1946 at the age of 71.